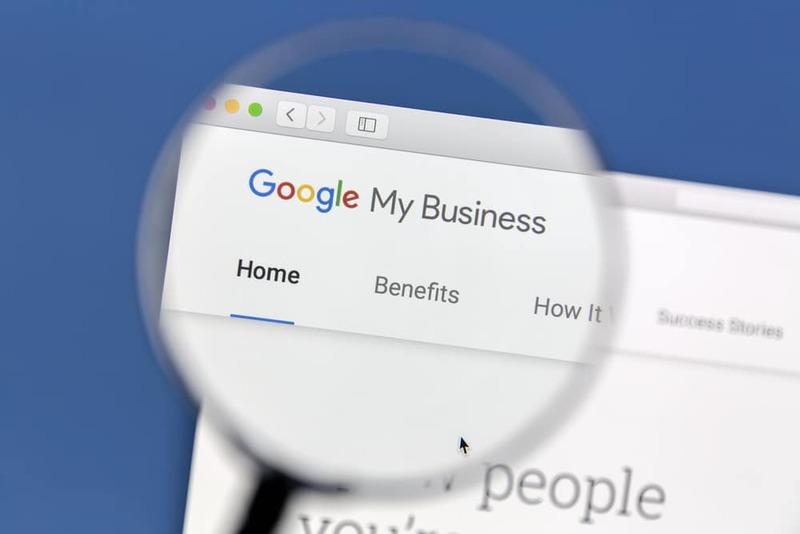 Google My Business is a free online search tool that allows companies to complete brand recognition by placing their brand name, information including phone number and address as well as a map feature off to the side. GMB has a leg up on competitors as research states that visitors are 50% more likely to click on the business that comes up on the GMB page. For companies to get started on getting your GMB listing running effectively certain steps should be taken. This might sound self-explanatory, but it’s still important. Google your existing business to ensure that you don’t already have a GMB listing up. Once you conclude you don’t have an existing site, go to the Google My Business page and enter all your company information into the site. This will include your company name, address, phone number, and the relevant category your business falls under. Once you have all your information in, you will need to verify your GMB listing. The verification process with Google typically takes less than a week. Google will send you a postcard in the mail that you will verify with an enclosed code to allow your business to go “live”. Optimize your GMB listing – include proper keywords, take out negative wording, make sure your brand information has corrected, updated information. This includes the correct spellings of the business, street names, etc. Adding photos to your GMB listing will help generate more traffic to your sites. In fact, studies show that there is an increase of approximately 42% when photos are added. The photos need to be clear, informative and engaging to the visitor. Engage with Customer reviews – This practice can’t be stressed enough. Whether a review is positive or negative in nature, the company should be making active measures to engage with their customers. Following this practice will help increase your overall SEO ranking. Positive customer reviews should be encouraged on a consistent basis in order to increase brand awareness and cultivate a positive brand outlook. Ask customers to leave reviews – This can be managed by a mention on their company website, social media pages or via email campaigns. Companies can leave a link in their email signature line that directs customers to leave reviews. Companies can leave hard copy flyers within product packaging that asks them to leave a review. Negative customer reviews, on the contrary, should be treated differently. In these cases, they need to be handled with even more engagement to try to clean up the brand image. When a customer leaves a negative review, companies should first apologize and then offer a solution to either manage the problem or send them to a link that allows for more discussion to continue. Studies show that with negative reviews, nearly in all cases a customer is looking to just be heard, first and foremost. It’s important to show respect within these messages. Logo Image – The logo image is just as it states; the photo of your company logo. Google recommends that companies use a square sized image for this. Cover Image – This image should show off the brand personality and remain at 16:9 aspect ratio for the best conversion rate. Additional photos – these photos can be photos of your business both interior and exterior, photos of products, shots of customers shopping, etc. Companies can gather information on how well their GMB listing is doing on Google with analytic programs such as Insights. This will tell companies information on the actions that visitors took in order to seek out the brand, and then what maneuvers were made once they did. Number of calls to your business – Did the call to ask for directions, call about specific information, etc. How many times did visitors view your photos – This will include data on which photos visitors clicked on the most. Google My Business listings can help companies increase their SEO ranking and increase their brand awareness by nearly 50%. They are an effective way to essentially advertise your business for free. The inclusion of maps, fun, and engaging photos can make all the difference in the world to a visitor when having to decide on which company to trust the most. GMB sites that have effective keywords attached to them will also help to increase the overall conversion rate. The keywords listed in the brand description, the caption on photos and more can help with your advertising strategy.